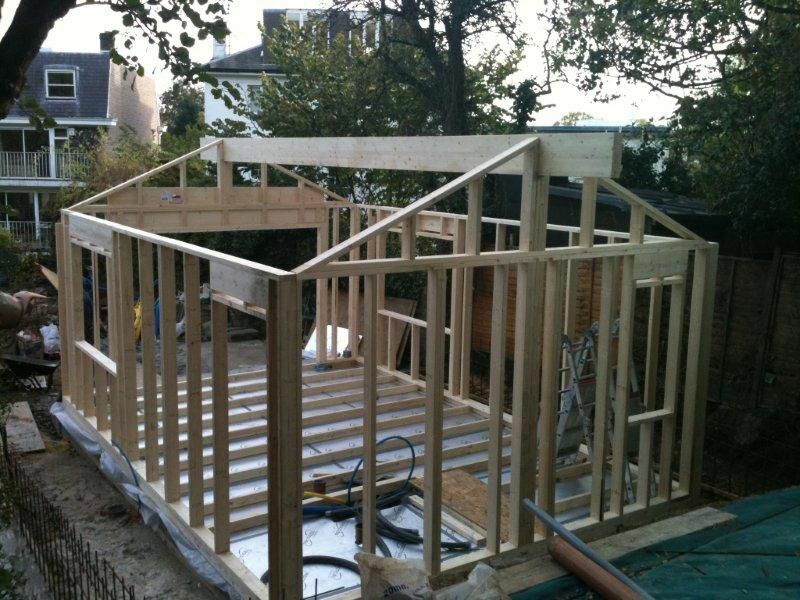 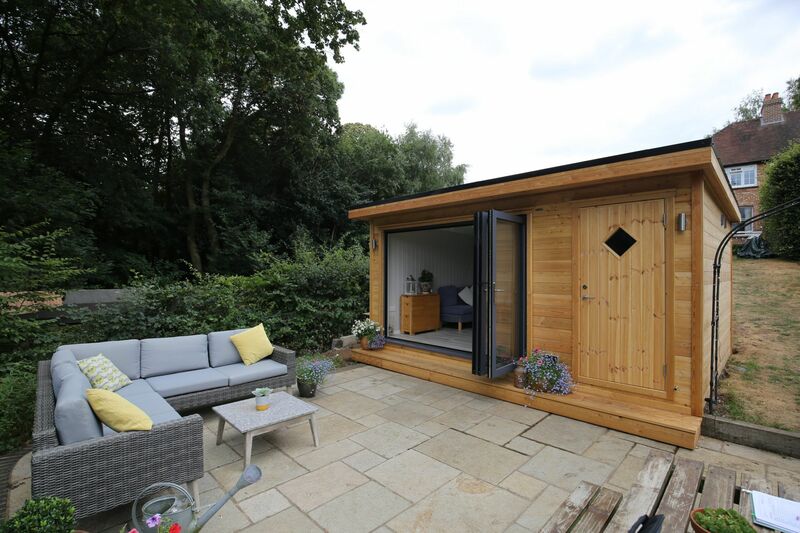 Many of our private clients build a Nordic Room in their garden to get an extra space for an office. 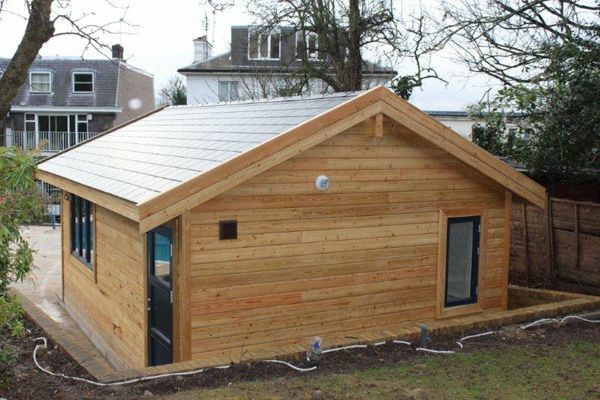 Since a Nordic Room is fully insulated it can be used for a variety of purposes such as a guest room, exercise room, student pad, children’s playroom and much more. 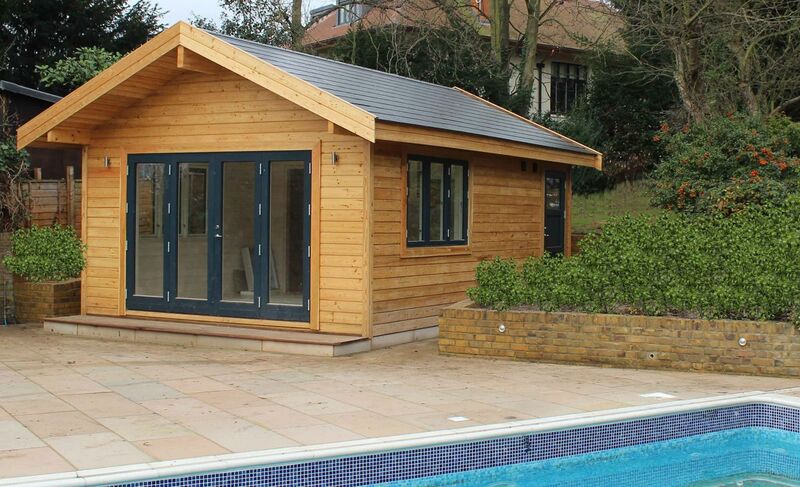 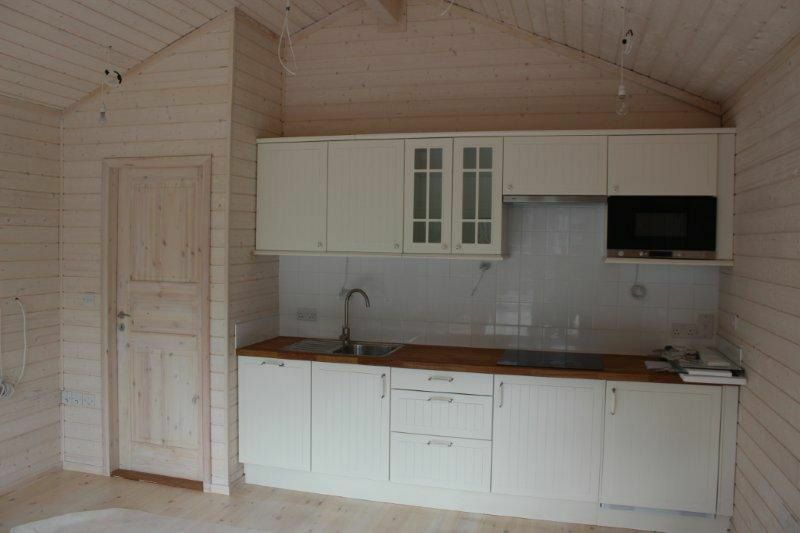 This specific cabin was to be used as a garden office and pool house with changing area. 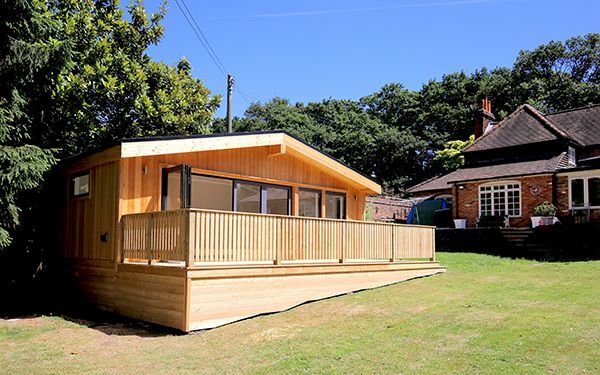 Our Nordic Rooms are made in a modulated timber frame structure that is insulated and wood panelled on both inside and outside. 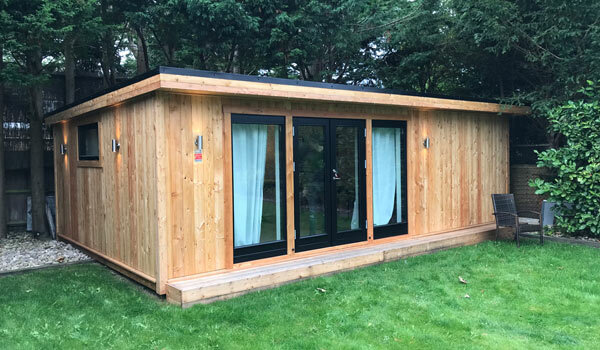 This particular Nordic Room was upgraded to an external panel in Siberian larch rather than our standard spruce panel. 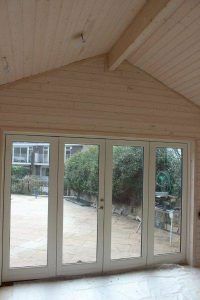 The windows and doors were specially made with an aluminium coating on the outside and pre- factory sprayed on the inside. 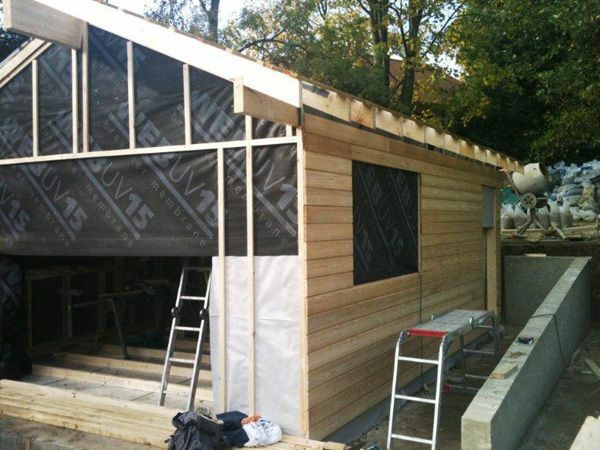 All our doors and windows are in wood with energy glass made to the highest of quality in Denmark. Internally the ceiling was finished in white wash pine tongue and groove panels and the floor used was our standard 27mm thick pine floor dried to 8% moisture. 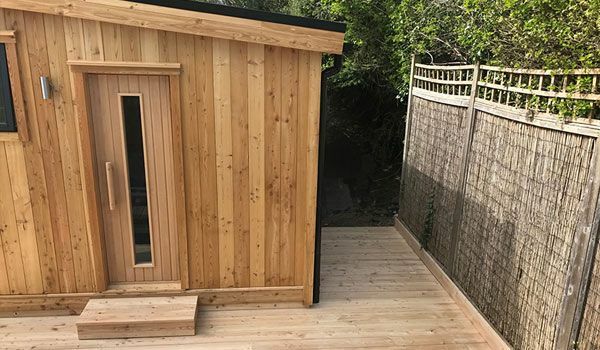 Our London client had specific need since he needed to comprise a pool pump, cloak room and kitchen and still have enough space for office and recreational area. 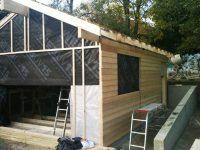 We tailor made the floor plan to accommodate all the elements as well as working with architect, electricians and plumbers to create the perfect cabin for our client. 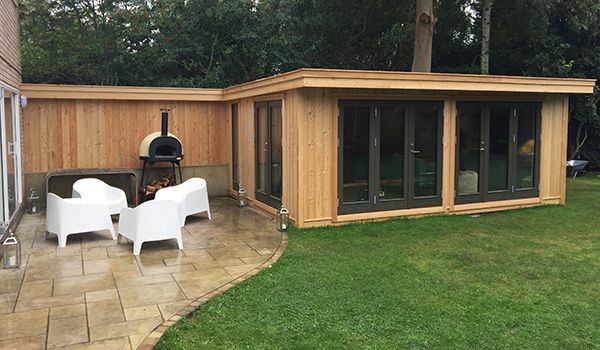 This has resulted in a beautiful Nordic Room and a very content customer.